The approach that i-THRIVE takes to implementation draws on the Quality Implementation Framework developed by Meyers, Durlak and Wandersman (2012). It describes four phases, shown below, which are considered crucial for successful implementation. 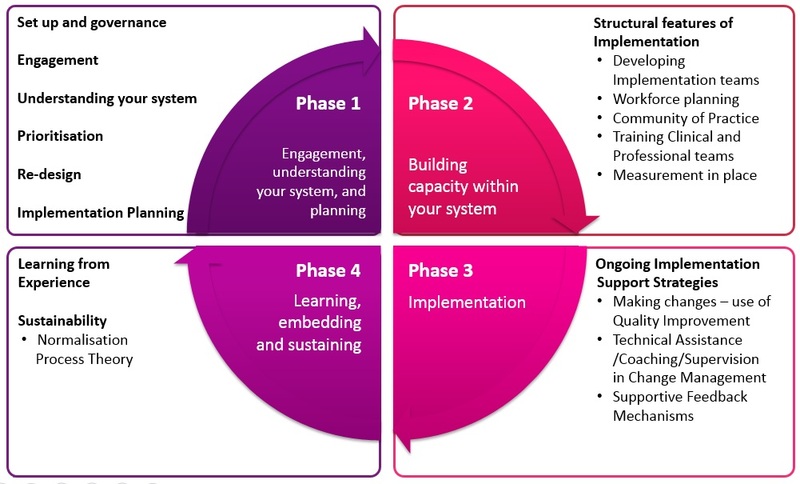 The i-THRIVE Toolkit will guide sites through these four phases.